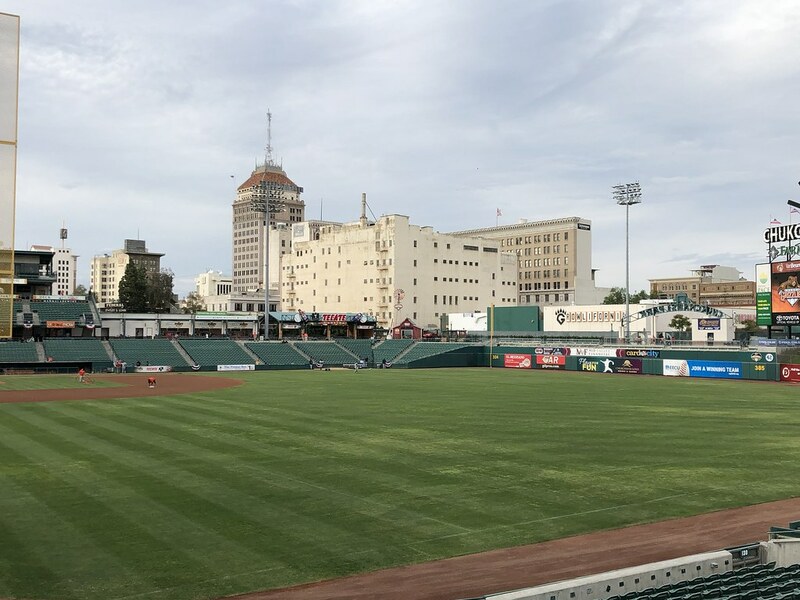 The view from behind home plate at Chukchansi Park. 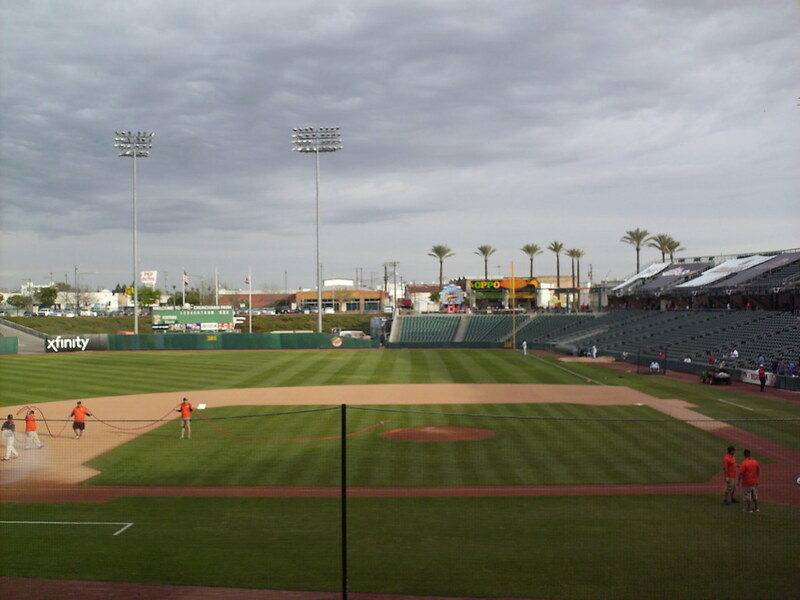 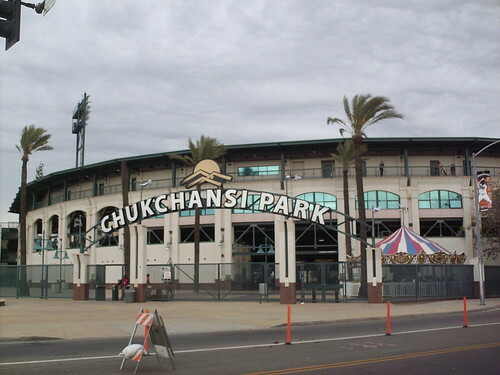 The grandstand at Chukchansi Park, as seen from left field. 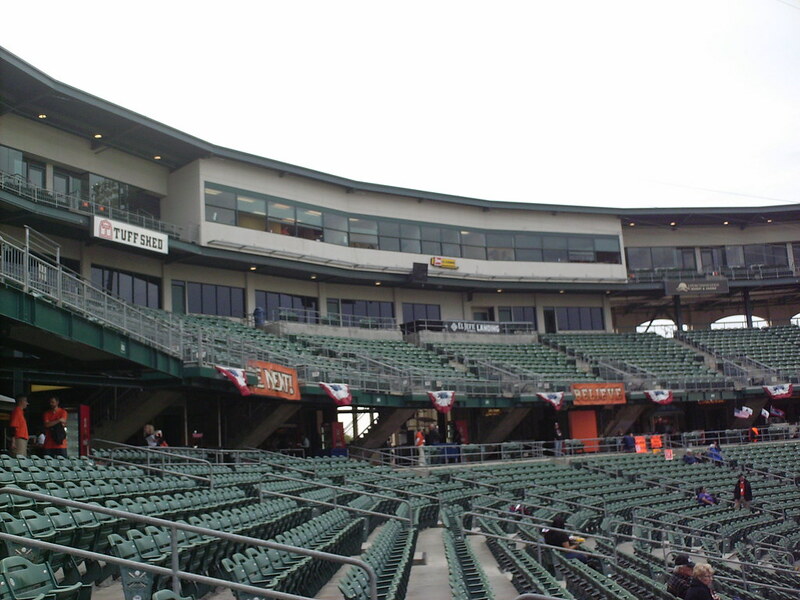 The grandstand features two full seating decks, with the pressbox and luxury suites above them. 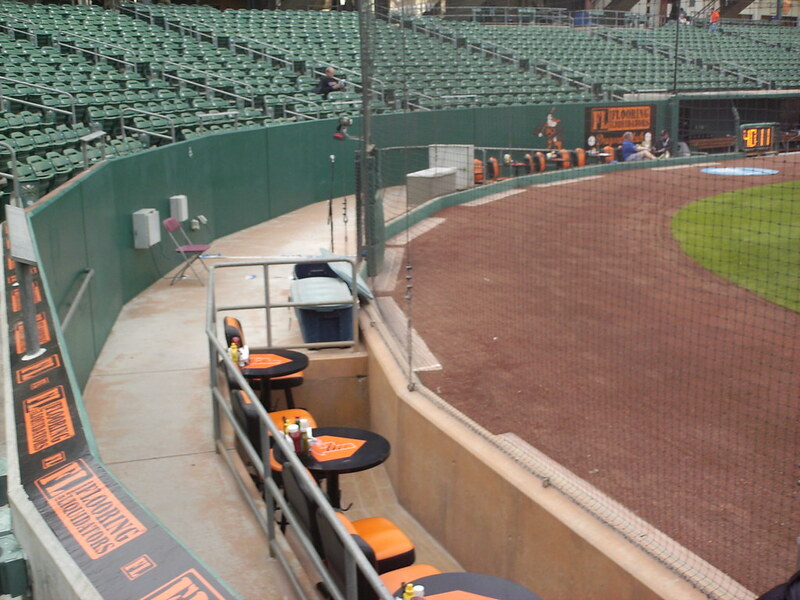 Dugout suites sit between the seating bowl and the backstop. 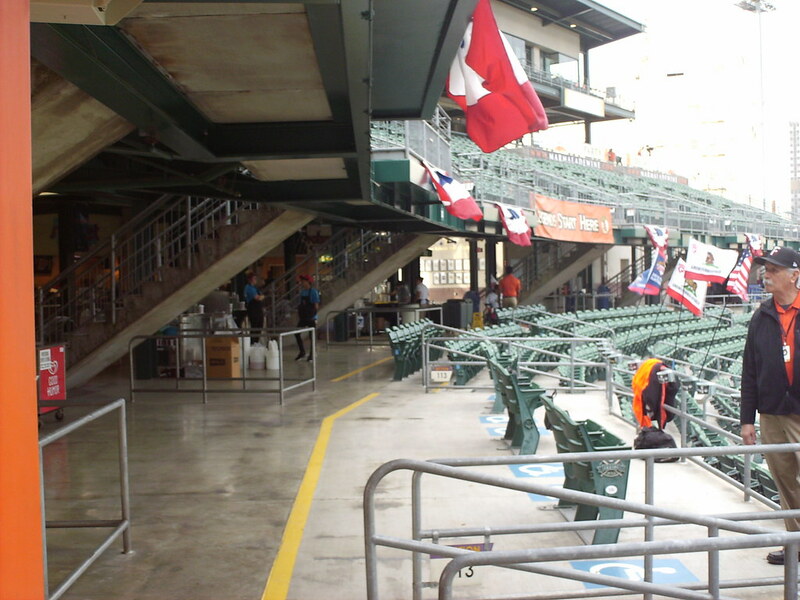 The concourse runs underneath the second deck and features wide areas for handicap seating. 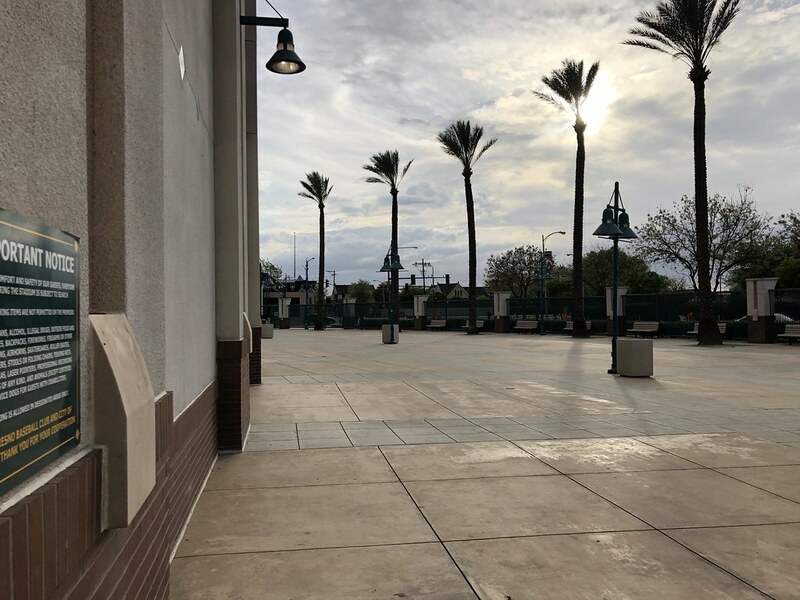 The park features a very wide plaza outside the stadium walls but inside the gates, giving fans a large area to congregate. 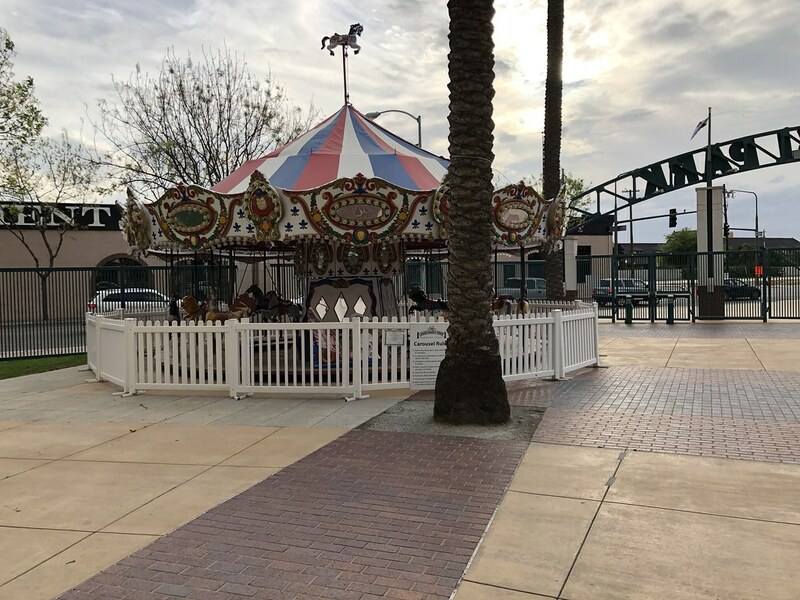 A carousel sits just inside the main gate at Chukchansi Park. 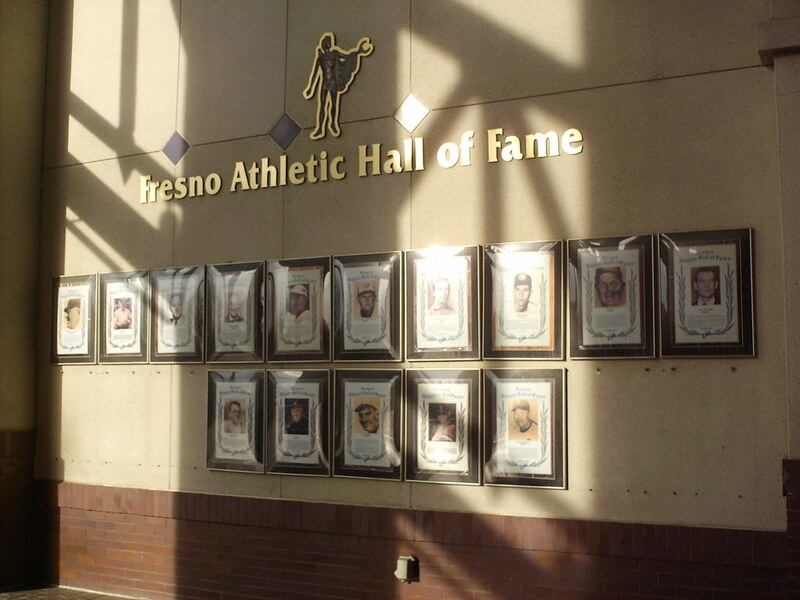 The Fresno Athletic Hall of Fame along the concourse celebrates the history of sport in Fresno. 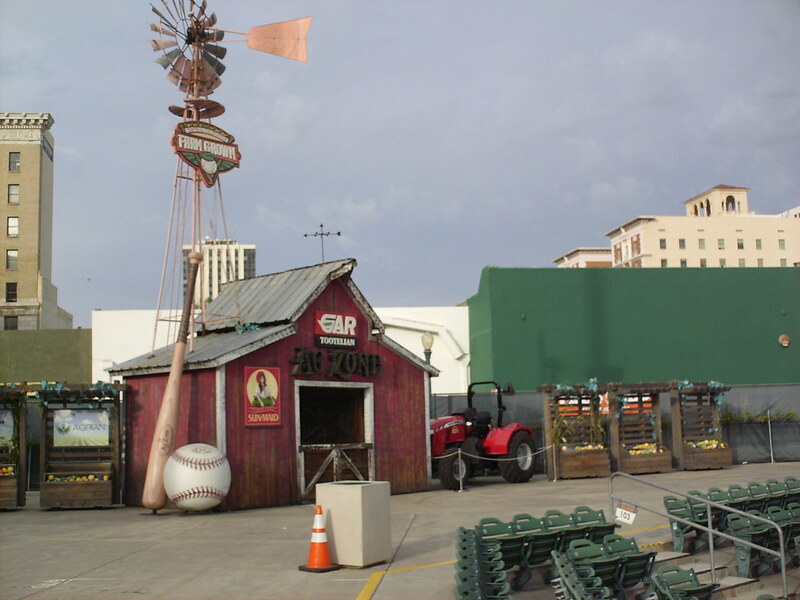 A covered cantina and party area sits in the left field corner of the outfield concourse. 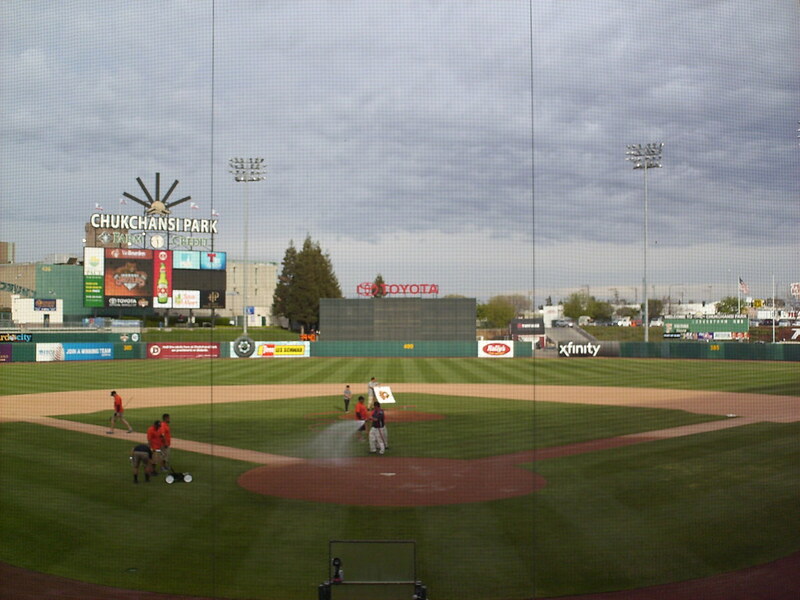 A display on the outfield concourse celebrates the history and importance of farming in the Fresno area. 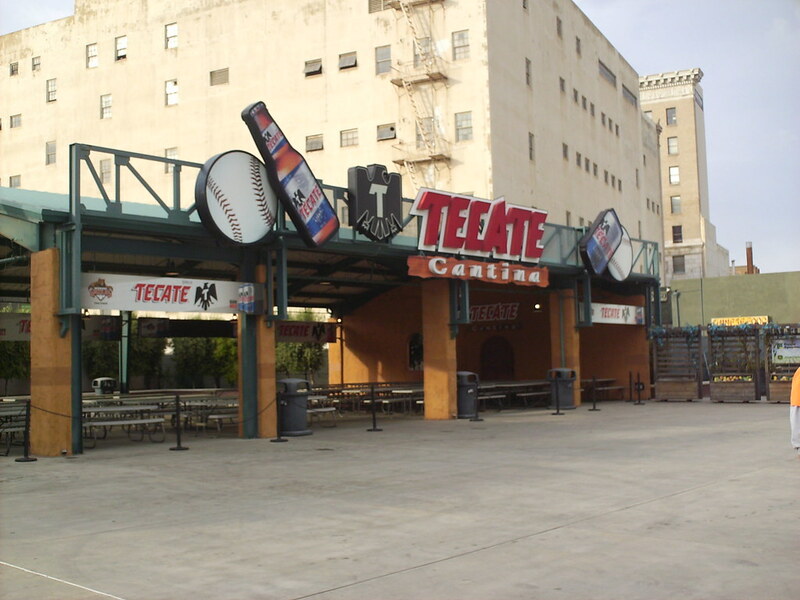 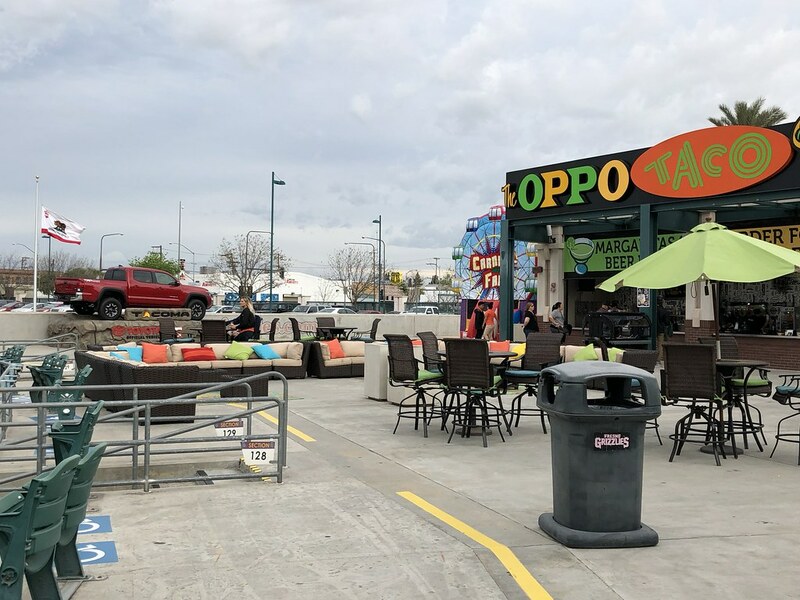 A party plaza in center field features group seating options and a taco truck. 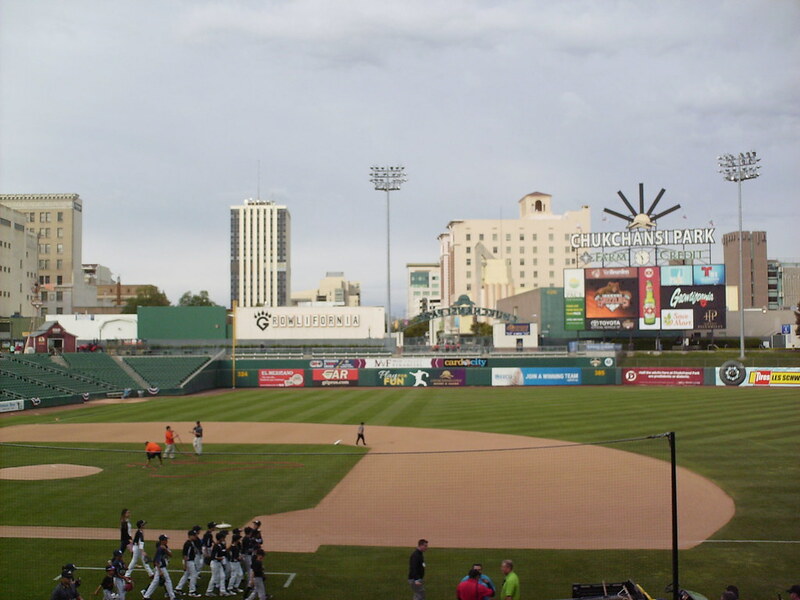 The buildings of downtown Fresno stand over the field at Chukchansi Park. 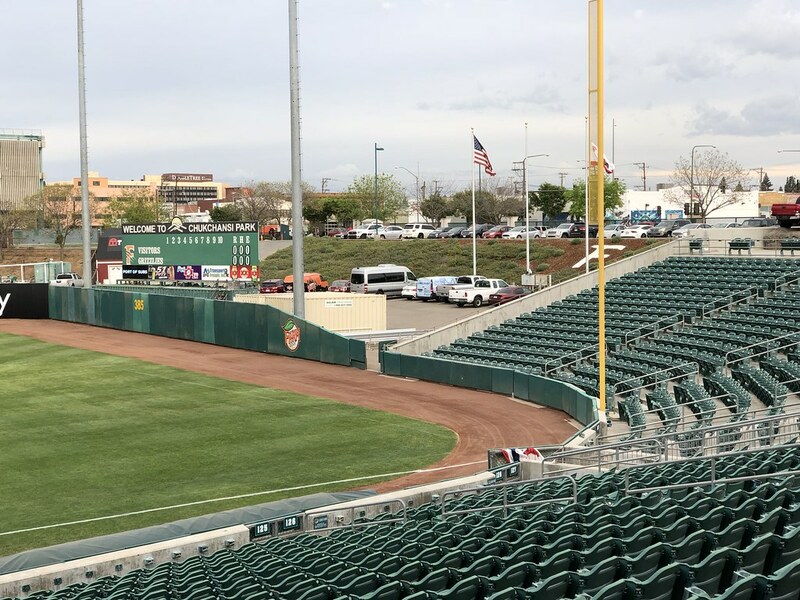 The outfield fence features a very short wall in right field and a manual scoreboard in right-center. 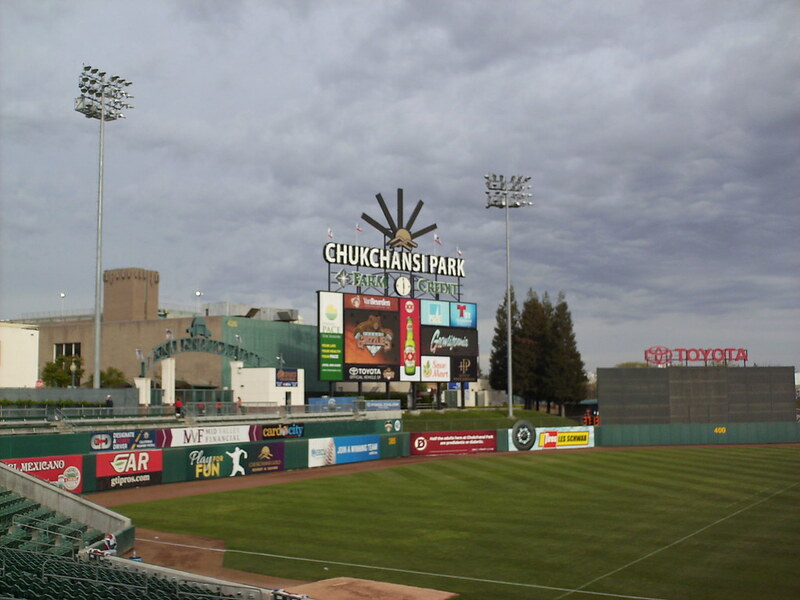 The main video scoreboard sits behind the left field wall. 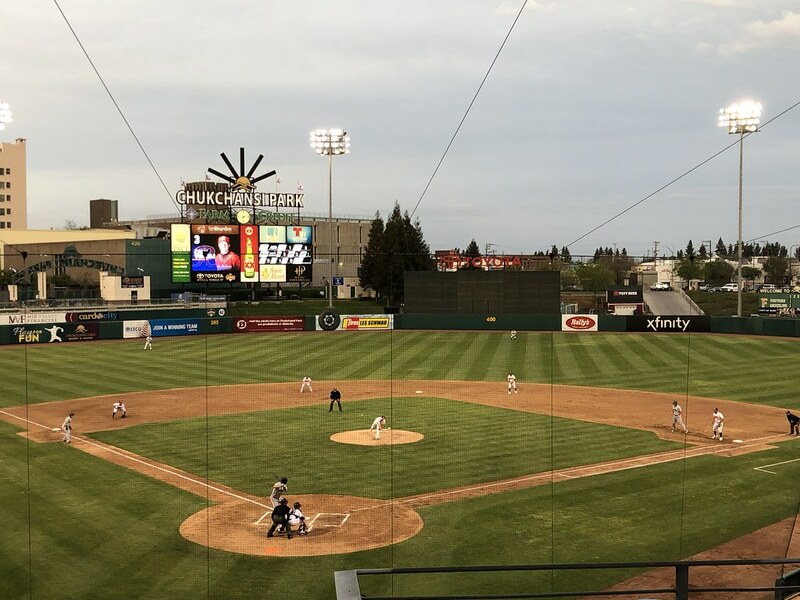 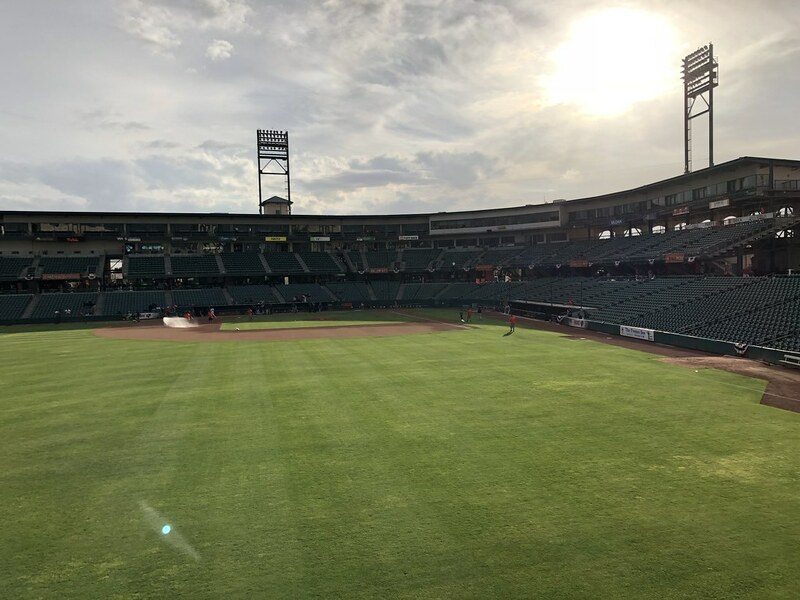 The Fresno Grizzlies on the field during a game at Chukchansi Park.